April marks 50 years of ongoing civil rights struggles that define the realities of millions of people in a heavily divided America. Segregation officially ended with the civil rights movement. However, the legacies of segregation are still alive in US institutions including housing, education and the criminal justice system. America's relationship to Islam goes back to the early 1800s, when Muslim slaves fought for their freedom — and there are lessons in it for America today. Gary Foley, one of the main leaders of the Black Power Movement in Australia says the literature of Malcolm X and other writers of the US civil rights era influenced Australia's Indigenous thought and action against white supremacy. Race permeates every facet of American society, and racism is the original sin of the American nation - deeply interwoven in its DNA culturally and institutionally. Can America change its DNA? Martin Luther King died of an assassin's bullet in Memphis, Tennessee, on April 4, 1968, ending his leadership of a nonviolent campaign for equal rights for African Americans. Malcolm X, Martin Luther King and Rosa Parks are leaders of the civil rights movement most people know about, but there are many more activists, such as Ella Baker, Philip Randolph, Viola Gregg Liuzzo and Daisy Bates. A shared complexion does not mean black culture is homogeneous. It's rather diverse with layers of intricacies just like any non-black culture. In America, white people are too often complacent, even as allies. Will white America realise that in order for society to change they must be prepared to shoulder the social hardship of people of colour? The US hasn't completely come to terms with its history of slavery and persecution of African Americans. The Equality Justice Initiative has documented these crimes, to show the US its dark history. US civil rights leaders have said they are fearful President Donald Trump could reverse progress made on civil rights in the United States since Martin Luther King Jr's assassination 50 years ago. King's life was an inspiration around the globe, and the anti-war and anti-capitalist views that informed his activism have been largely cleansed from his legacy. Martin Luther King’s legacy has rarely seemed as important as it does today, 50 years on from his death. Thousands of admirers grateful for the civil rights icon's life and legacy mourned his loss and pledged to carry on his unfinished work to end racial injustice and economic inequality. 50 years after Martin Luther King Jr's death, his influence is still being felt in his home city of Atlanta. 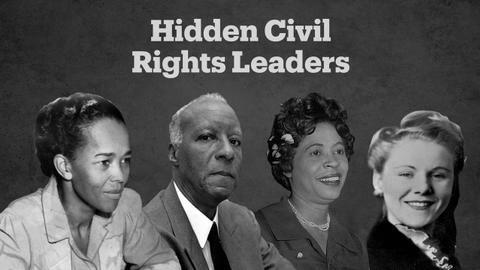 Many cite the civil right's leader as their inspiration. We met one man who used King's message to turn his life around.